A well balanced and nutritious diet is essential for normal growth and development in children. 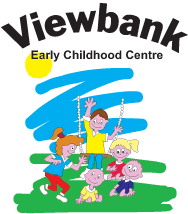 Viewbank Early Childhood Centre provides morning tea, lunch, afternoon tea and a late snack to every child. We understand that as many children will consume much of their daily food intake at our service, promoting children’s healthy eating and meeting children’s nutritional requirements is very important. With this in mind, our menu is developed in consultation with industry professionals, and follows current recommendations from recognised food, nutrition and health authorities. We use the ‘Eat for Health – Australian Dietary Guidelines (NHMRC 2013) and ‘Meeting Nutrition and Food Hygiene Guidelines for Accreditation in Childcare’ (Nutrition Australia Revised June 2007) as tools in designing and maintaining our nutrition policy. We encourage that these guidelines are also followed in the home, so together we can ensure that each child develops good nutrition habits. Our six week cyclic menu is displayed near the kitchen, in each of the rooms and on our website. The menu undergoes regular seasonal changes. The meals are designed not only to be nutritious, but also to be an educational and cultural experience. Educators interact and discuss nutrition with children throughout mealtimes, incorporate nutrition into their programs, and model healthy eating practices for children. Educators ensure mealtimes are pleasant occasions, where children and educators can socialise with each other in a relaxed atmosphere. Children are invited to exercise their independence during mealtimes by being offered to make some food choices, being encouraged to help prepare and tidy up the eating areas and by assisting in serving food and drinks where appropriate. Along with supporting children to develop a healthy and positive attitude toward good food choices, all these areas also assist with the development of children’s interpersonal and language skills, and also help convey the message that eating healthy food is fun. Children’s allergies and cultural needs are taken into account, and every effort is made to accommodate these requirements. Drinking water is available to children both indoors and outdoors at all times. Milk is offered at lunch time. Viewbank Early Childhood Centre’s kitchen is registered with the local health authority. We are required to implement and maintain a Food Safety Plan at all times to ensure appropriate hygiene and food handling. For this reason, NO FOOD, with the exception of breast milk or formula, may be brought into the Centre at any time. Exceptions to this policy are made for children with special dietary requirements, but MUST be discussed with the Management Team. Parents’ comments and feedback regarding the menu is always welcomed. If you have any ideas or suggestions please let us know.